Satin brass-brushed metal frame ushers ornately seductive curves pretty enough to don as jewelry. 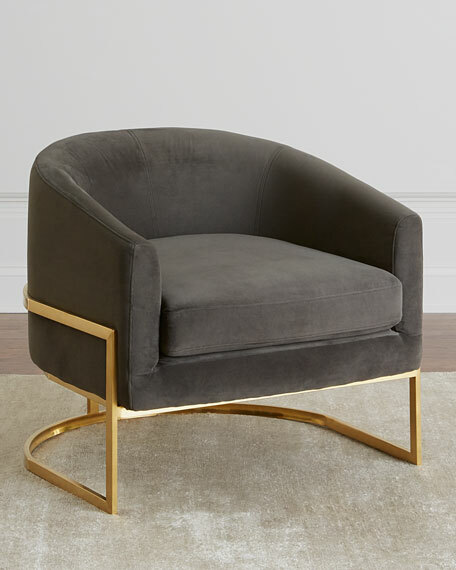 polyester fabric leaves a velvety feel and luxe look to mid-century-modern seating with subtle swank and a focus on details. Overall, 28"W x 29.3"D x 26"T.